Many experts who specialize in the human body say that about two million people suffer from a whiplash injury. The worst part is most of the time people who are inflicted with a whiplash injury don’t realize that they can benefit with chiropractic care. 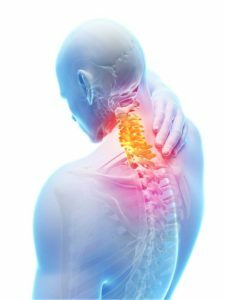 We at Clear Lake Dickinson Chiropractic can help with the short and long term effects that a whiplash injury has brought to you. Let’s talk a little about what whiplash is so you’ll have a little better understanding of why this type of injury can be so damaging to a person’s body. Mainly, the things that you need to understand are whiplash injuries can be very painful and they can cause people to have trouble accomplishing their daily activities in a successful fashion. In addition, these types of injuries can be handled in a positive manner if you simply seek the help of Clear Lake Dickinson Chiropractic for care. We want to heal your whiplash injury. We know exactly how to accomplish this task because we are trained professionals that deal with neck and spinal injuries on a daily basis. Clearly, these are three great reasons why you should allow us at Clear Lake Dickinson Chiropractic to give you the care that you deserve and need so your slipped disc injury can be eliminate from your life. If you are in Houston, Clear Lake, Friendswood, Webster, League City, Dickinson, Seabrook, or any surrounding city, and have a whiplash injury, come visit us today!